What did the political landscape of the 1970es look like in eyes of the artist community? 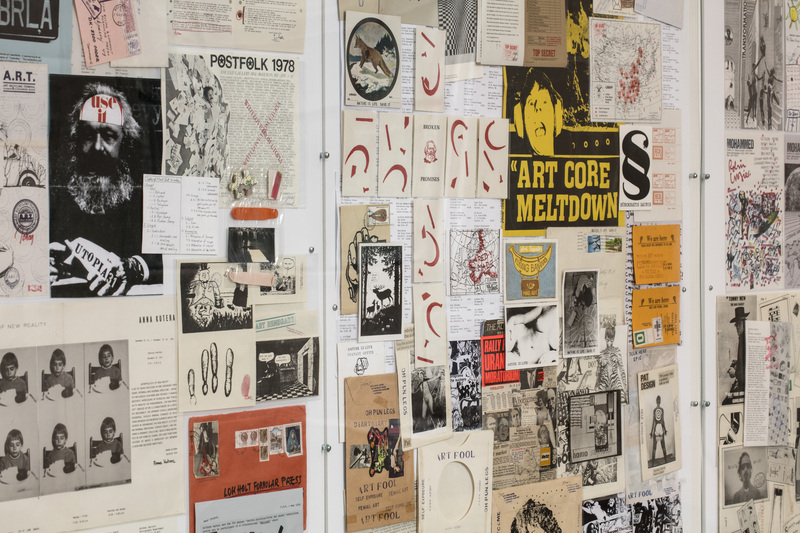 From 16 September, Kunsthal Charlottenborg presents one possible answer: the exhibition Keep Art Flat! 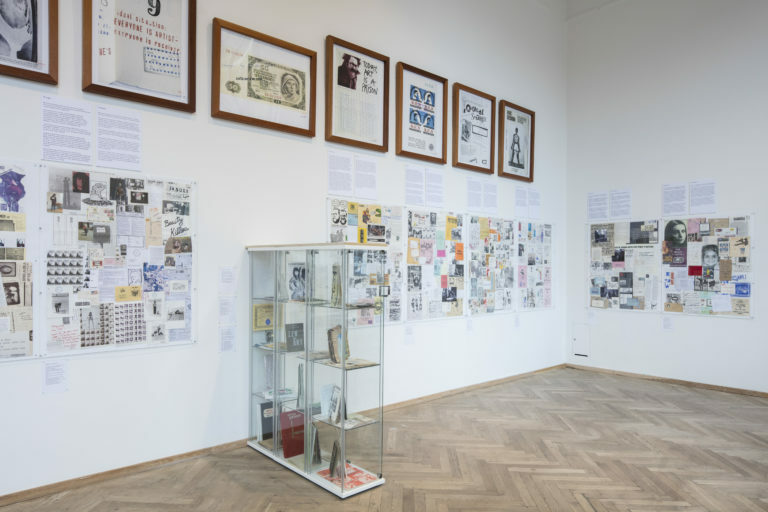 brings together nearly 250 works from the Lomholt Mail Art Archive to show how Mail Art reflected and shaped politics of the 1970s. 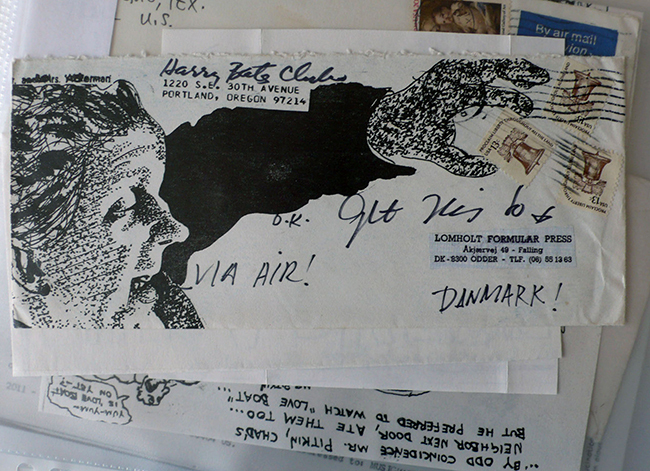 Mail Art is art produced and shared by mail. Many of its roots lie in the US and Canada, but the term ”Mail Art” was coined by a Frenchman and there were mail artists active across the entire globe, in North and South America, in Western and Eastern Europe, in Japan and Australia. Mail Art accepts no hierarchies. It is not about being the first or the best, but about taking part. The art works emerge in the exchange between individuals or by collaborative effort. The art is found in the individual mailing as well as in the collective project, in the single work as well as in the infrastructure. All styles and subjects are allowed because the only thing that matters is the Exchange. As an art form, Mail Art is a product of the DIY ethic that was so typical of the time. 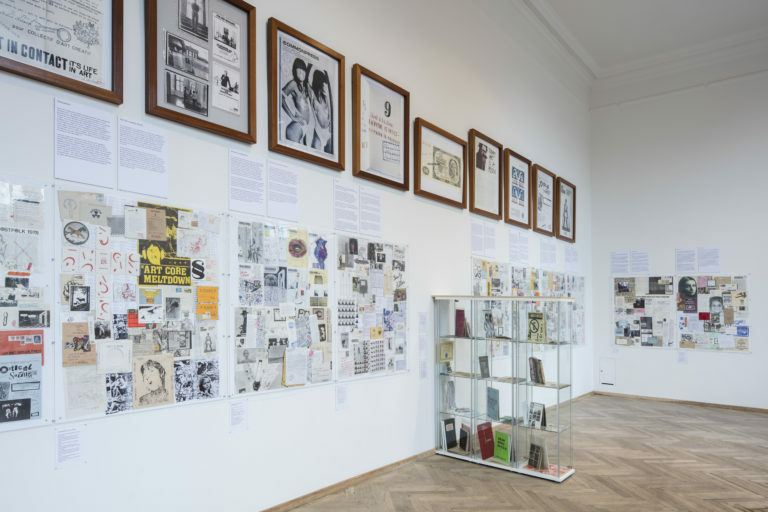 It is political in its efforts to build an infrastructure that exists independently of the established art world, and in its struggle to redefine the meaning of collaboration and community. The most important notion that is renegotiated is democracy. Mail Art is not about choosing one candidate or the other or about voting for or against a proposal. It is not interested in the majority vote but in the possibility for each voice to be heard. Mail Art materialises one particular aspect of 1970s politics, but at the same time it visualises the political climate of the time. Because the individual voice is so important, all the issues and causes of the period become audible. The slogan “The private is political”, which was first used in 1970, is essential for Mail Art. 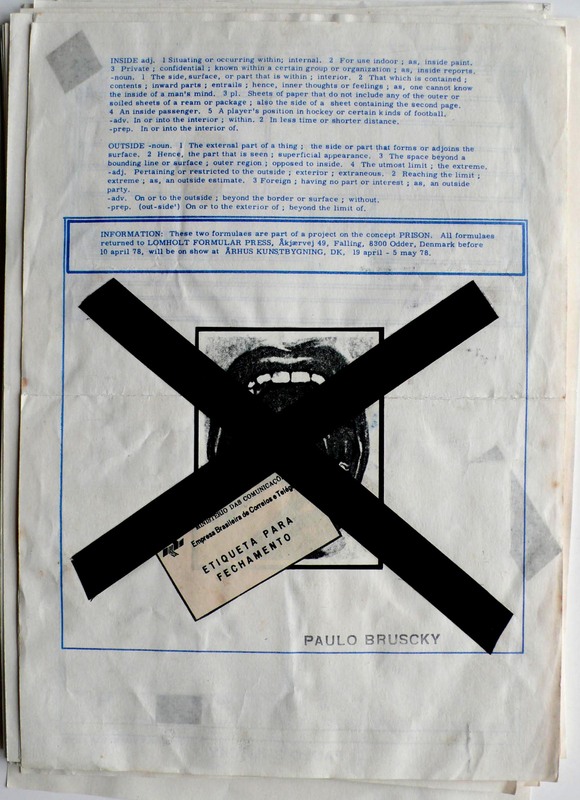 South American Mail artists shared their opinion of the military dictatorships on the continent, East Europeans shared their hopes for international collaboration and artists everywhere shared their dreams and fears. 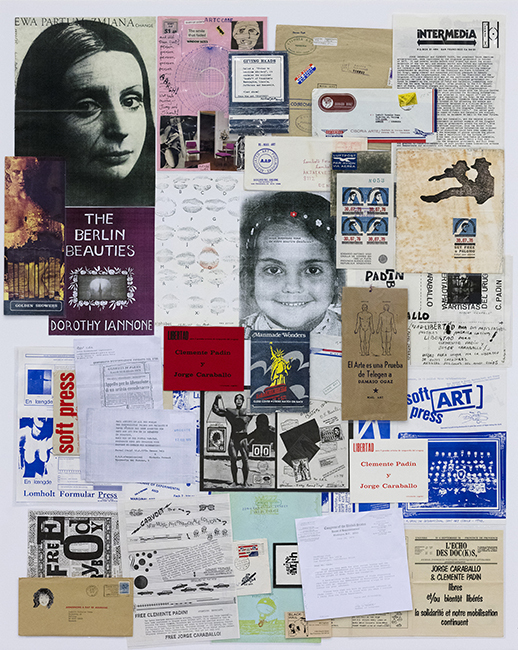 The East-West conflict, the atom bomb, Capitalism and Communism feature widely as themes, but so too do gender equality, sexual liberation and the environment.For artists in South America and Eastern Europe, Mail Art was a way of sharing their work with the rest of the world, but the Mail Art network could be a way of exercising pressure as well. The American poet Geoffrey Cook, for instance, unleashed a campaign that resembled Amnesty International’s letter campaigns when Uruguayan artists Clemente Padin and Jorge Caraballo “disappeared” in 1977. Mail Art was utopian, but it was well aware of the political realities as well and made itself heard. The exhibition is organised in collaboration with Golden Days – Festival about the Seventies by visual artist Niels Lomholt and art historians Lene Aagaard Denhart and Peter van der Meijden. Keep Art Flat!. Installation View, Kunsthal Charlottenborg 2016. Photo by Anders Sune Berg. Keep Art Flat! 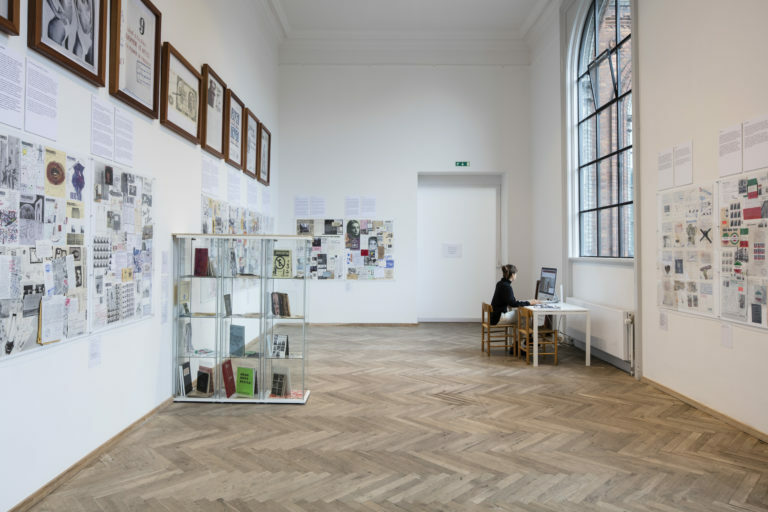 Installation View, Kunsthal Charlottenborg 2016. Photo by Anders Sune Berg. 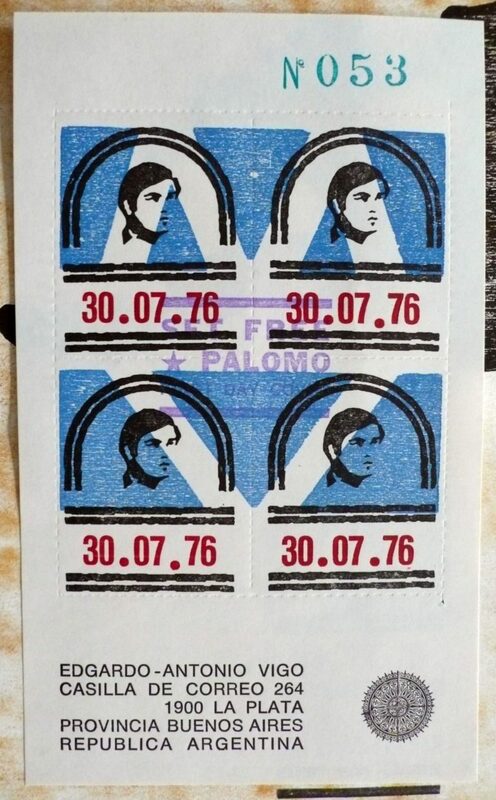 Edgardo Antonio Vigo - Free Palomo. Photo by LFP. 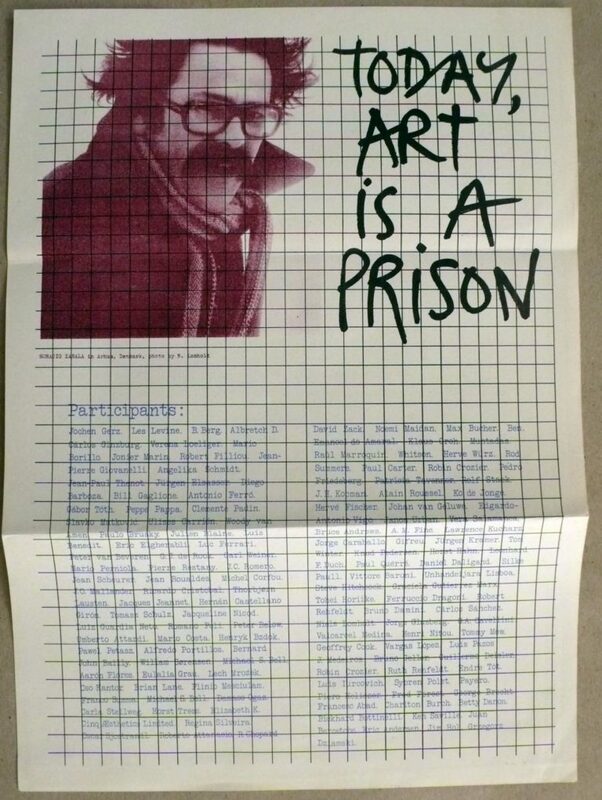 Horacio Zabala - Today Art is Prison. Photo by LFP. Paolo Bruscky - Prison. Photo by LFP. Peter Below - Commonpres no. 3. Photo by LFP.